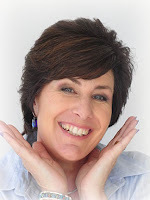 Today I'm inspired by the wonderful meteor shower we witnessed last night as the earth was peppered with meteorites from the Geminids meteor shower. 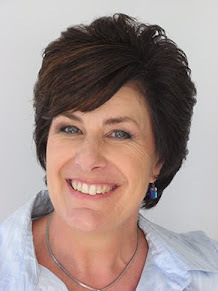 Watching the shooting stars, I was reminded of the Three Wise Men who followed the star in the night sky to Bethlehem to find Jesus, the Newborn King. 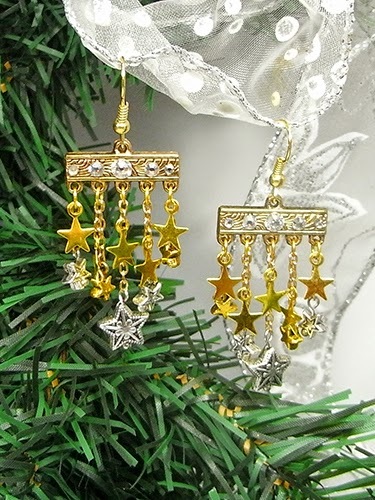 So Day 8's earrings are The Stars in the Night Sky - a curtain of twinkling stars that fall playfully at your neck. 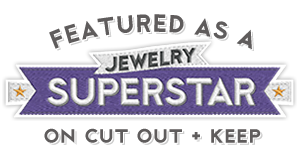 Tools: chain nose pliers, round nose pliers, flat nose pliers, flush cutters. 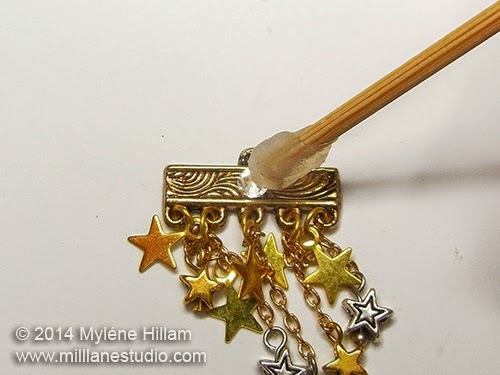 Other: Embellie Gellie tool , Create Your Style Crystal glue pen . 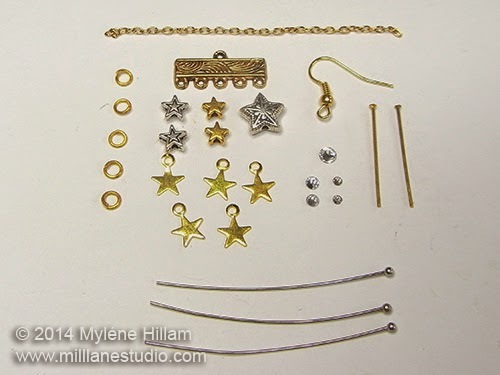 String the silver star beads on silver head pins and the gold star beads on gold head pins. 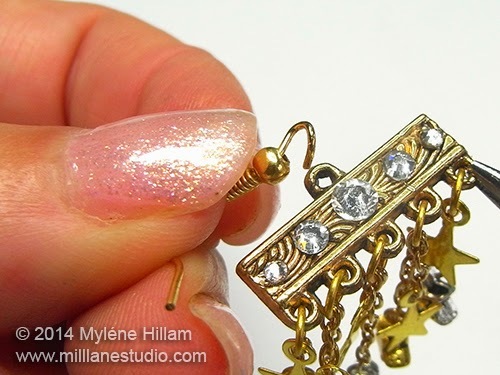 Bend each head pin at a 90° angle as close to the bead as you can. 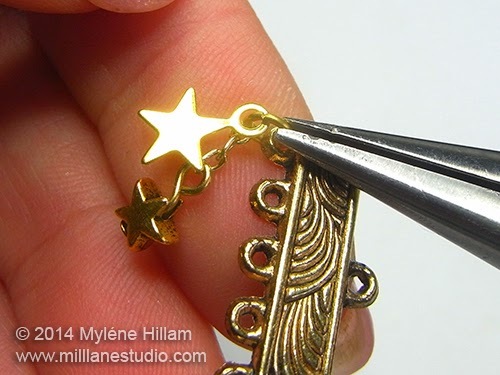 Trim each one to 8mm (5/16") and turn a simple loop. 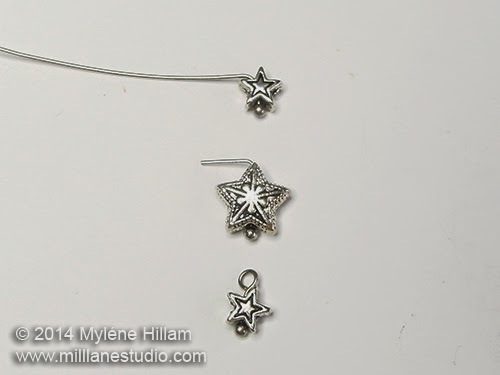 10mm silver star bead - attach to the 10-link chain. 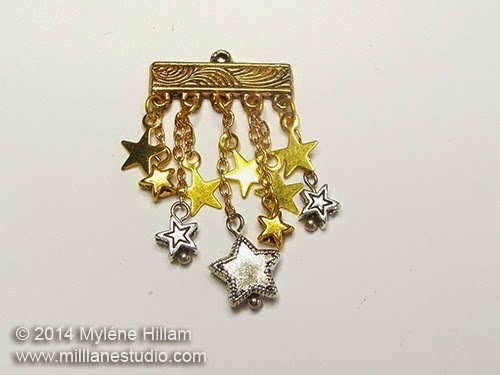 The two remaining gold stars with loops are not attached to chain. Lay the chains out using the photograph as a guide. 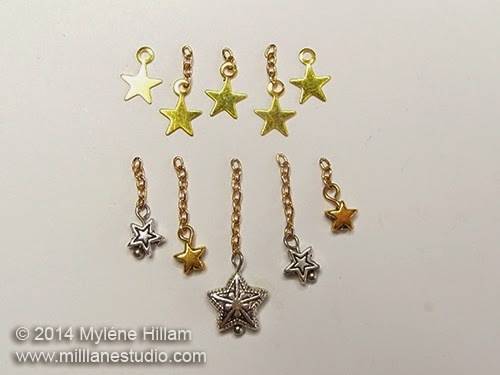 Attach the pairs of components to the multi-strand end connector with a jump ring, making sure that the gold stars with loops always sit at the front. The end connector should look like this once all the chains have been attached. 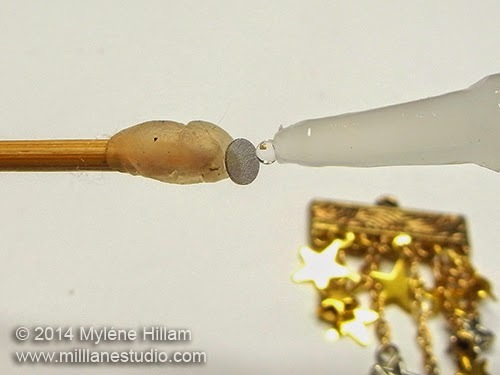 Pick up the largest crystal with the Embellie Gellie tool and apply a small amount of adhesive to the back. Position the crystal in the middle of the end connector. 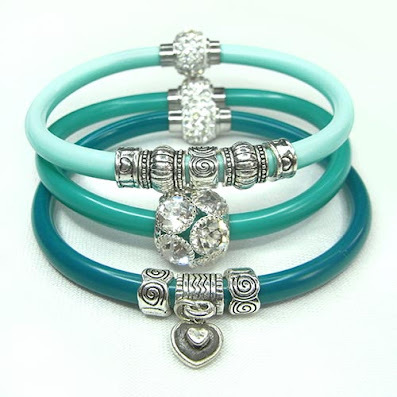 Attach the small crystals on the left and right edges and the medium crystals in between. 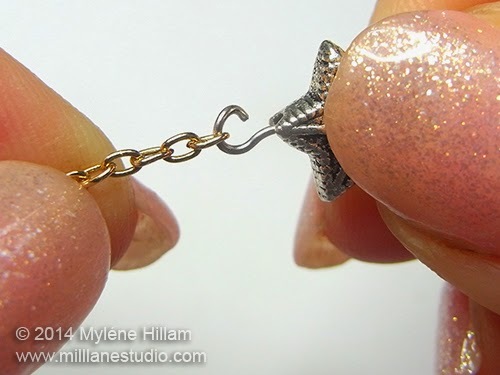 Attach the earring wire to the top loop of the end connector and then make a second earring to match. 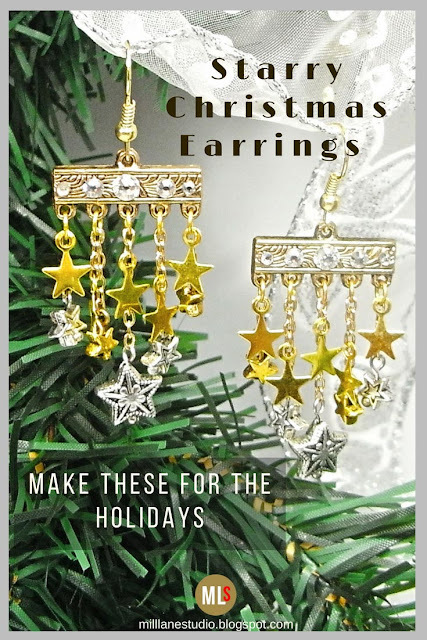 The mixture of gold and silver components in this pair of earrings makes them so versatile - you'll be all set to sparkle your way through the holiday season.